UPDATE: Awarded the Fritt Ord Foundation and the ZEIT-Stiftung Free Media Prizes for Independent Journalism in Eastern Europe in 2016. Seymur Hazi (or Haziyev) an Azerbaijani journalist, a reporter for the newspaper Azadliq, a leading anchor for opposition satellite Azerbaijan Saati (Azerbaijani Hour) TV program, and a senior politician with the Front Party of Azerbaijan. 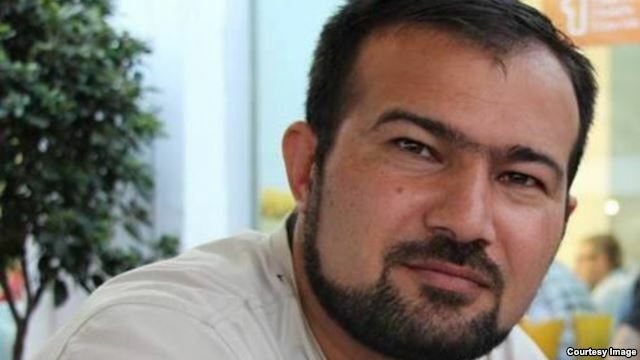 Arrested on August 29, 2014, he was accused of “aggravated hooliganism.” Authorities said that while waiting for a bus on his way to work, Hazi attacked and beat a Baku resident. His lawyers maintain that he acted in self-defense. In January 2015, he was sentenced to five years in jail. His appeal was rejected on April 15, 2016. His detainment is said to be politically motivated in response to his criticism of the Azerbaijani government. He had previously been the target of intimidation by the government. He claims that in 2011 he was abducted and tortured by unidentified men that had warned him against further outspoken criticism of the government. The newspaper that Hazi had regularly written for, Azadliq, was forced to close temporarily in July 2014, shortly before his arrest. The paper failed financially under a heavy burden of fines in response to defamation charges in 2013 and was withheld funds by its government-backed distributor. It seems to have been an orchestrated attempt to silence government critics as Azadliq had been one of the few independent media outlets remaining at the time. Most recently, the Azerbaijani government has tried to shutter the news source by banning it through court action in 2017. Internet restrictions authorized by the Azerbaijani government had allowed it to interfere with access to the site by leveraging Azerbaijan’s internet service providers directly. Lend your voice and share a solidarity tweet to help #SetThemFree!